The Earth’s ozone layer has been described by experts as a planetary sunscreen because it protects us from the vast majority of harmful UV rays from the sun. UV-C is the most damaging form of solar ultra violet radiation but currently, no UV-C radiation reaches Earth, thanks to the ozone layer and other elements in our atmosphere. The next most dangerous is UV-B radiation, most of which does not reach the Earth but in areas of ozone thinning, additional amounts can penetrate and create both environmental and health dangers. 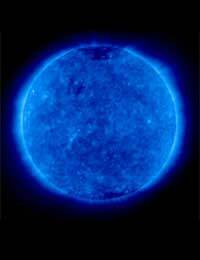 The least dangerous form is UV-A, most of which does reach the Earth. It is less dangerous because it is a longer wavelength and the shorter the wavelength, the more dangerous radiation is. However, since UV-A is a longer wavelength, this means it penetrates further into the skin than UV-B radiation so it can still cause burning. It can also cause severe damage to your eyes and premature ageing of the skin. Unfortunately, many people still believe that they are only at significant risk of burning in high temperatures. This is not the case – temperature is not the same as UV radiation and heat is not an indication of UV levels. That’s why it’s very important to take precautions throughout the year and not just during the summer. You should also make it a habit to check the UV-Index (published in many newspapers and included in TV weather forecasts) so that you are aware of the high-risk days. Children are especially vulnerable to damage from UV radiation and it’s vital that they are protected because early skin damage can cause major health problems once they grow up. Many people wrongly believe that there is no risk on cloudy days but although clouds can absorb some radiation, the level varies and in some cases, clouds can actually increase the amount of UV radiation because they reflect or scatter the sun’s rays. Experts now agree that exposure to UV radiation is the major cause of skin cancer so it makes sense to take precautions. Unless the UV-Index is below 3, there is a risk of sun damage. When the UV-Index is high, in addition to sunscreen you should protect yourself by wearing clothing to cover up your skin, a wide-brimmed hat and “wrap-around” sunglasses. It’s important to remember that at higher altitudes or when you are in the snow, white sand or swimming outdoors, reflection can dramatically increase levels of solar radiation. In fact research suggests that in winter, the presence of fresh snow can increase the UV radiation you face by as much as 85%. This means that people taking part in outdoor activities such as walking, skiing or sledging are especially at risk. In the summer, try to time any outdoor activities before 11am or after 4pm. When you are outside during the hottest part of the day make sure that you are well protected from the sun or seek shade. Make sure that any sunglasses you wear offer protection against UV rays. Many brands now have a label displaying the level of UV protection.